Talent Management and HR technology are in constant flux, so it always helps to have your finger on the pulse of the industry. 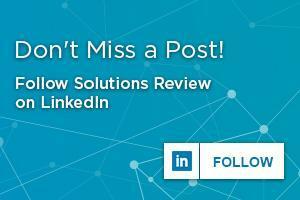 Here at Solutions Review, we do our best to provide IT professionals with the top talent management and HR technology best practices, resources, news and buyer’s guides, but sometimes you need a little extra push – the kind you can only get in person. We understand, and that’s why we’ve created this list of the top talent management and HR conferences and events for 2019. If you’re looking for top-notch speakers, vendor demos, and networking opportunities, then these should definitely be on your calendar. Events are listed in chronological order. Description: HRPA’s 2019 Annual Conference & Trade Show is the world’s second largest Human Resources conference, attracting HR and business professionals from across Canada and around the globe. This three-day event — January 30 to February 1, 2019 at the Metro Toronto Convention Centre, South Building — features world-renowned keynote speakers, 160+ HR professional development sessions, networking events and more than 250 exhibitors showcasing the latest HR products and services. Description: The North American HR Executive Summit brings together the “who’s who” of industry executives, cutting edge service and solution providers, and media partners from across North America to network, benchmark, share, and learn real-world solutions to universal challenges that face every HR professional in their daily work. Description: Talent Acquisition is a discipline focused squarely on the complexity of identifying, qualifying and onboarding the RIGHT candidate for the organization at the right time. Recruiting Trends & Talent Tech LIVE! is the only event focusing on both the art and science of TA and offers you and your team a comprehensive program to position every level of TA professional on the leading edge of today’s competitive, candidate-driven talent market. Description: Founded by a HR Tech startup, Hiring Success was developed on the premise that technology can revolutionize Human Resources and Talent Acquisition. The Hiring Success 2019 conference has a variety of sessions that explore core HR Tech topics, such as blockchain in recruiting and augmented reality. Attendees can look forward to the best industry speakers, exceptional content, the latest innovations including a Hackathon and Recruiting Startup of the Year competition, hands-on learning and working sessions, and opportunities to network with the brightest minds in Talent Acquisition. Description: At HCI’s 2019 People Analytics & Workforce Planning Conference, learn how high-performing organizations are balancing the need for shorter, more agile workforce planning cycles with long-term talent strategy. Understand how to align with business strategy to ensure you’re focused on what matters. From building a people analytics dream team, to applying insights to business-relevant talent issues throughout the employee lifecycle, you will learn to enable data-based decision making at your organization. Description: The HR West Conference is where you go to find out What’s Next. Convening annually for 35 years in the San Francisco Bay Area, the event takes place in the most innovative place on earth—home to the world’s leading-edge companies. Practicing HR here requires skills beyond the ordinary. Join us March 11 – 13, 2019 at the Oakland Convention Center, Oakland, CA for three phenomenal days of learning, networking and inspiration. Description: The 7th Annual Spring UNLEASH Conference & Expo roadmaps the Future of Work by gathering a community of thousands of decision makers, visionaries, technology buyers, and disruptors at the ExCeL London. UNLEASH 2019 showcases smarter ways of working, powered by innovative HR technology and the latest business transformation insights led by global executives from some of the world’s most exciting brands and reputable organizations. Be part of the Work Revolution as we enter a new age of HR and workplace innovation. Description: At Modern Business Experience presented by Oracle, you will learn from your finance, human resources, and supply chain communities, plus connect across teams to propel business forward. This event is designed around inspiring keynotes, visionary speakers, content-rich educational sessions, hands-on workshops, product expert discussions, and fun networking activities. Description: SOAHR is where anyone with human resources responsibilities can discover, learn, network, celebrate and discuss how to create best in class workforces and workplaces together. This is a place for professionals to experience everything they need to find success – the ideas, the connections and the practical skills. It is both inspiring and hands on learning. Description: Competition is stiff for your company’s most valuable resource – talent. With more job openings than qualified candidates, your talent strategies must be tailored to the realities of today’s job market. At SHRMTalent, you’ll gain expert tips to compete in a tough market while hiring the right people who enrich your workplace. Explore new ways to access untapped talent pools, communicate the true value of benefits, and retain engaged employees at every level. As the voice of all things work, SHRM can help you harness and keep the talent you need to create better workplaces for a better world. Description: Join us for the 55th Annual Human Resources Conference and Expo on April 23-25, 2019 at the Indianapolis Marriott Downtown. This conference will be an experience you won’t want to miss! Description: RecruitCon 2019, will continue to help talent acquisition & management executives and leaders uncover new and emerging recruiting practices – while also offering access to new-tech, cutting-edge analytics, streamlining hiring as a process, and delivering data as a foundation for decision making. At RecruitCon, you will discover how to build a sourcing strategy from the group up using proven strategies, leverage talent relationship management (TRM) systems to save you time and money while driving measurable improvements in talent acquisition, and more. Description: The art of talent attraction is a complex calculation, full of ever-changing variables. Compensation and benefits, work-life balance, company culture and values: When today’s job seekers have infinite employment options, which factors matter most in making their selection? Join us in Austin, Texas, where we’ll take a data-driven approach to solving The Talent Equation. Together, we’ll identify what drives candidate decision-making and formulate strategies to secure your spot as top talent’s top choice. Description: UNLEASH America is the #1 gathering place for all those who thrive on the Work Revolution and HR Technology. UNLEASH attracts an exclusive community of leaders, innovators, influencers and workforce technology buyers helping transformational organizations identify and apply the right technologies and solutions for the Future of Work. At UNLEASH, hear from HR leaders sharing their best kept secrets on what works, what doesn’t, and their vision for the future. Description: Attend HCI’s 2019 Strategic Talent Acquisition Conference to learn how to beat the talent crunch in your organization by leveraging an array of strategies, tactics, and tools that go beyond a siloed approach to recruiting strategy. 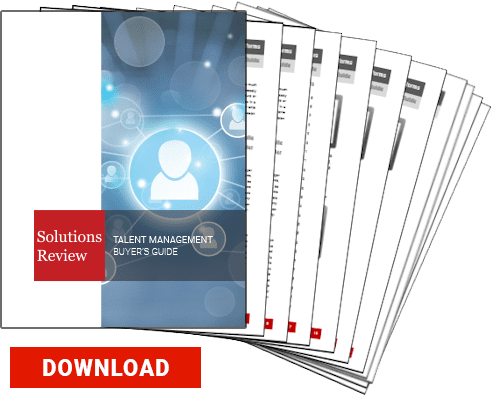 Explore the business cases for partnering with educational institutions to build the skills you need and investing in internal recruiting to leverage the people you already have. Use new selection techniques to hire for performance and retention. Get a crash course in TA analytics to make data-driven recruiting a reality at your organization. Description: There is no better place for HR professional development than SHRM’s Annual Conference & Exposition. By attending, you’ll gain the tools and resources you need to implement successful HR practices – which help your company succeed. Internationally-renowned speakers that offer fresh points of view and inspiring stories will help shift your perspectives and deepen your understanding of a broad range of HR topics and workplace issues. Description: With political upheaval, transformative technologies and the speed of digitalization, HR must re-imagine long-held approaches to enable the business to adapt and thrive. Join 400+ senior HR executives to hear key insights and learn actionable strategies for how HR can support organizational performance when tomorrow is uncertain. Description: HR Tech is the place to get the whole picture of the HR technology market. Whether you’re looking to increase your knowledge to buy and effectively implement new HR systems OR simply to stay on top of this rapidly changing industry — your organization’s success starts here. As the industry’s leading independent event for 20+ years, HR Tech has been a key catalyst for tens of thousands of HR and IT executives in their quest to leverage technology and secure HR’s role as a pivotal component in their company’s overall success. Description: DevLearn, the leading conference and expo focused on learning technologies, is where the entire industry gathers to share and learn about innovative thinking and emerging technologies, explore the possibilities they present, and define how they can drive innovation within our industry … our organizations … and our learning. It is the place where you can meet with industry thought leaders, share strategies with colleagues, discover best practices, and learn about the hottest topics and ideas for learning. Join the community of industry pioneers that is defining the future of training and performance! Description: The purpose of HRTechTank is to connect, educate and promote innovators in the Human Resource Management & Recruitment software space. In addition to meeting your future investors and clients, you will join practical discussions about expectations that buyers have towards HR tech products, best sales channels and growth tactics, customer success and sales excellence. You will as well learn how to scale a great sales team, get access to HR data, boost a B2B company and hear investors talk about their perspective on HR technology.